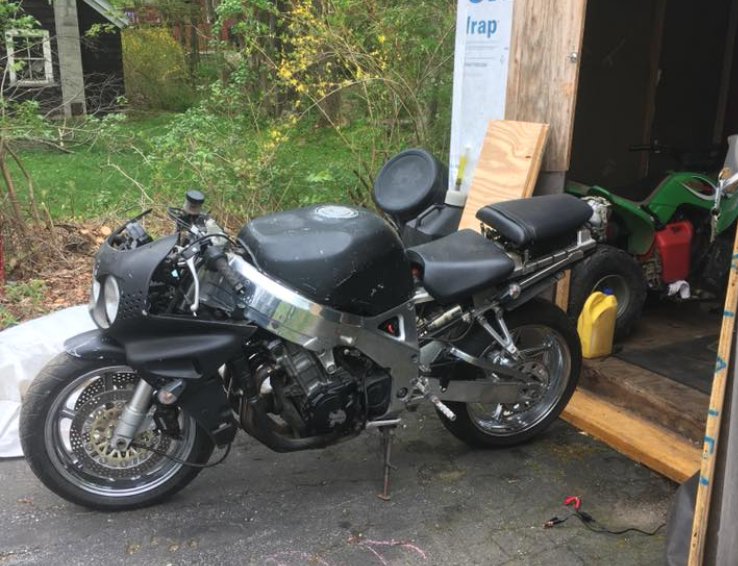 New to the forum and just picked up a 93 CBR900RR is bad shape for a complete restoration. My wife and I used to ride a 93 model 20 years ago and could not pass up bringing back to life to relive those memories. 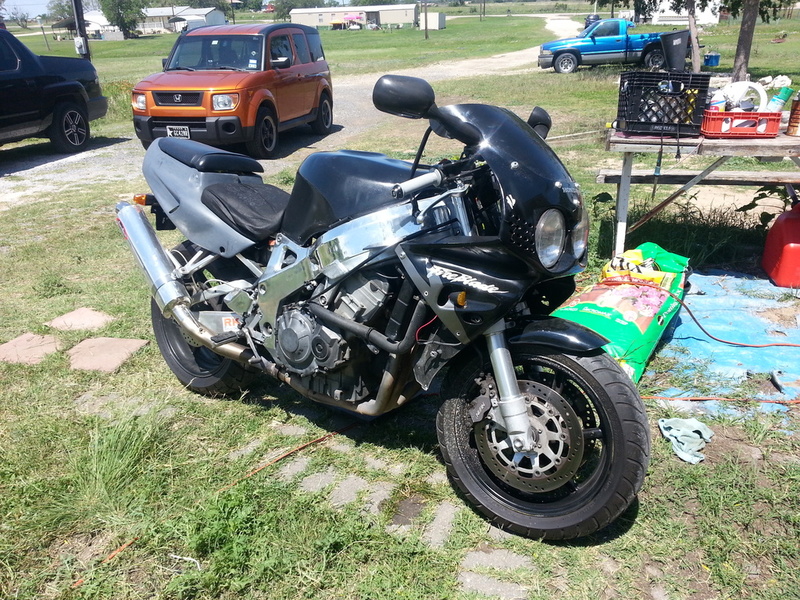 The bike is rough, been in a barn for 5 years, was dropped and it bad shape. The good news we put a new battery in it, changed oil and it acutally started. Time to tear down and rebuild! Will be posting a lot to show progress and ask questions. unslow1, IanDoohan and BigdaddyPaz like this. 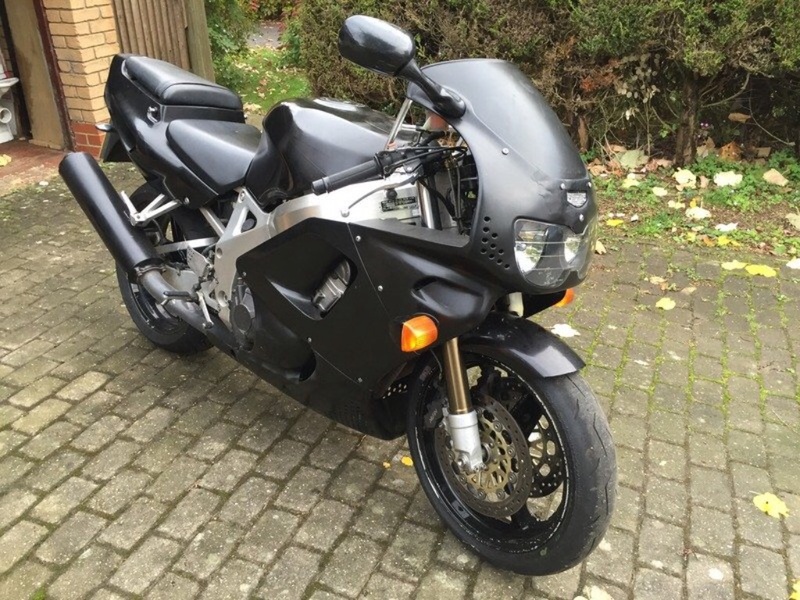 Looking forward to following this, mine was also rattle can matt black when I bought it. BigdaddyPaz and shrekusa like this. Nice build Gunk and thanks Ian for the quick replies. Yep Green to the forum. 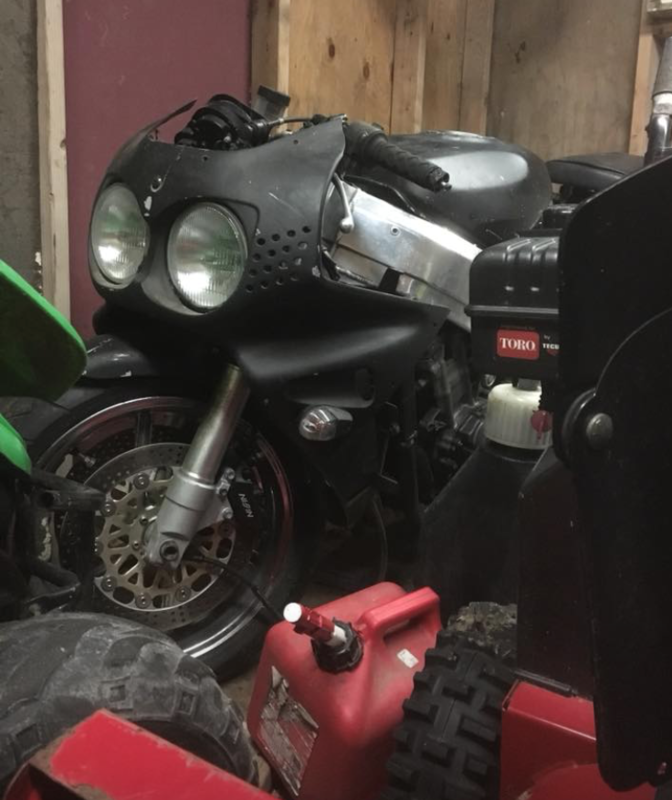 I am going to start a build thread, bikes needs LOTS of parts right down to a complete new AirBox, fuels systems, brakes and brake lines etc. Living in New England and leaving a bike like this in a barn/shed for 5 years does bad things to it with the cold. Estimate this will be 3-6 months due to cost/time - hoping to get a ride in before Winter comes at the end of the year.! New Hampshire here - def have to work that out one day! 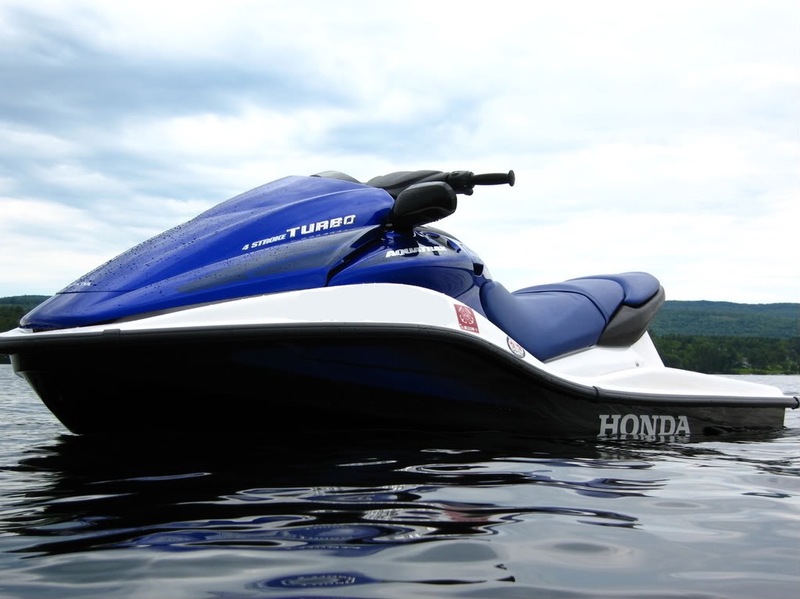 nice, before I move to the US 3 years ago I had Jetskis for years. Ran 2 x Water Rescue Skis (Surf life saving) and have a few JS550's in the day! He's in for the long haul. Funny thing is, my POS looked almost just like his at the beginning. They have given life and limb for our country. The least we can do is shake their hand. Great find. Mine looked just like that. It's almost scary. Welcome. We can always use more GREENIES! Greenie means you're a paid "Supporting Member". They look like long lost brothers! Looks like we have thread especially for Blades with shite matt black paintwork, seems to be plenty of them about. 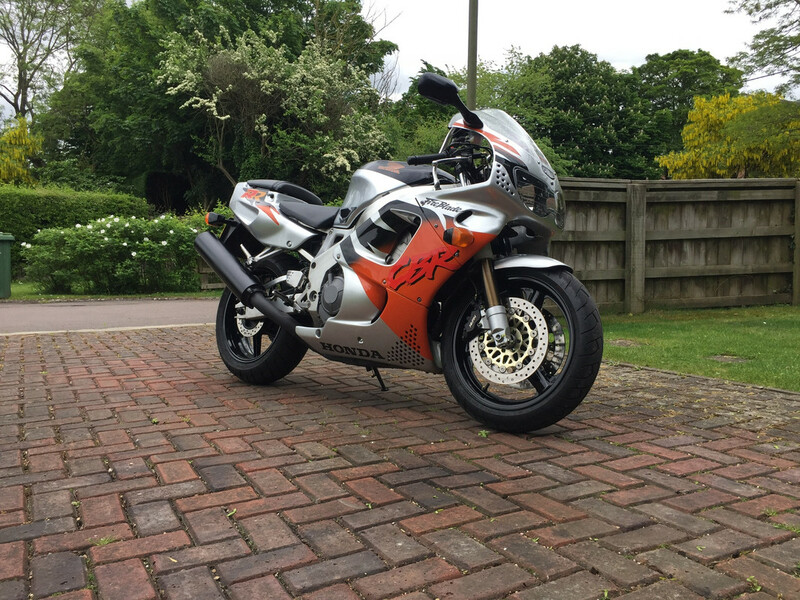 It’s the badge of honour for bike that’s been thrown down the road! Last edited by Gunk; 03-02-2019 at 6:50 PM. lol see a lot of the matt black, ugly for sure.